Drawing attention to your product is crucial, especially when your product may be hidden amongst the many other products competing for the consumer’s attention. Your product’s design and color scheme is perfect, but you need that added boost to immediately draw the focus to your product. 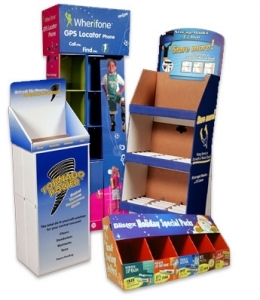 Packaging Design Corporation can help with their branded point of purchase displays. Branded point of purchase displays are perfect when you want to separate your product from the competition. They draw the attention of the consumers and display your product in a way that you can control. For more information on our branded point of purchase displays or if you have any questions about our other packaging designs, call us today at 630-323-1354. You can also fill out the contact form on the right or email us at info@pack-design.com and one of our helpful associates will respond shortly. Here at Packaging Design Corporation, we are always looking to refine our methods to help deliver the best quality products at affordable prices. For more information on our branded point of purchase displays, call us today at 630-323-1354. Or you can fill out the contact form on the right and we will respond shortly.